We are constantly being reminder of the importance of using an SPF product to keep our skin healthy and protected from the sun, in the summer and during the rest of the year. At Pure Beauty, we believe that incorporating sun protection into your everyday beauty routine is an absolute must, and we sell a range of products that help you to do exactly that. If you are looking for an anti-ageing moisturiser with sun protection, the Elemis Pro-Collagen Marine Cream SPF30 could be for you. This clinically proven (Independent Clinical Trials 2014) day cream is packed with powerful anti-ageing ingredients that help reduce the depth of wrinkles, improve firmness and hydrate the skin so it looks amazing. Padina Pavonica and Ginkgo Biloba improve suppleness and elasticity and a unique blend of sunscreen means you also get superior broad-spectrum protection, making this a winner in our book. If you are looking for something that is water-resistant, we suggest trying the Dermalogica Protection 50 Sport SPF50. This broad-spectrum sun cream can be used on the face and body and is suitable for all skin types. The lightweight formula binds moisture to skin without leaving a greasy film and thanks to Oleosome microspheres, the SPF performance is enhanced but still apply at least 15 minutes before you go out in the sun and reapply after swimming, going in the sea or if you work up a sweat exercising. At Pure Beauty we are massive fans of the Elemis Liquid Layer SPF30. Offering protection against UVA, UVB rays and pollution, this really is the first line of defence against sun damage and premature skin ageing. It works best when applied over your moisturiser and the white pigment of Titanium Dioxide helps scatter UVA and UVB rays and provide protection. Polymer Spheres also come into play and strengthen the work of the Titanium Dioxide by reflecting and refracting the UV rays. Impressive stuff, no? The overall results are that your skin is cared for and you have peace of mind when you are out in the sun – but try to wear a hat and sunglasses too when it is really hot. The Decleor Protective Anti-Wrinkle Cream SPF30 not only protects your skin from the sun but it also helps to prevent premature ageing and reduce the appearance of fine lines and wrinkles. This product can be used on all skin types and it is suggested that it is applied evenly on the face and neck at least 30 minutes before going into the sun and reapplied every two hours. If you are looking for added protection and a natural look, we love the Dermalogica Sheer Tint SPF20. It comes in light, medium and dark options and gives you not only wash of colour but an extra shield against damaging UV rays. Hydrolyzed Pearl amino acids, Hyaluronic Acid and antioxidant Walnut Seed extracts offer hydration so that skin looks, and feels, soft and nourished. New to our site is Jan Marini and their Daily Face Protectant SPF30 packs a punch when it comes to sun protection. This easy to apply cream is invisible, hydrating and weightless and not only feels amazing when you apply it to your skin, it smells pretty great too. Water resistant for up to 80 minutes, it is packed with skin conditioning oil absorbing particles as well as multiple antioxidants, making this the ultimate in daily SPF wearability. If you would like more details about these, or any other products, get in touch today and we would love to help find something that is right for you and can send samples too. A common myth that gets touted around is that your nails won’t be able to ‘breathe’ if you have gel nails, but it’s actually codswallop. Your nails don’t need to be in direct contact with the air around them and having a gel manicure won’t somehow suffocate them! It can strip some of the oils from you nails leaving them a little dry, but that’s nothing that a little Elemis Sweet Orchid Monoi Body Oil won’t solve. You Should Sunscreen Your Hands! A lot of people don’t make the connection that the UV lamps which are used for gel manicures are basically the same type of bulbs which are used for tanning beds, which means that exposure leaves you vulnerable to melanoma. Before you have your mani (or do it yourself), use a sunscreen such as Elemis Liquid Layer SPF30 on your fingers to protect them from harmful rays. 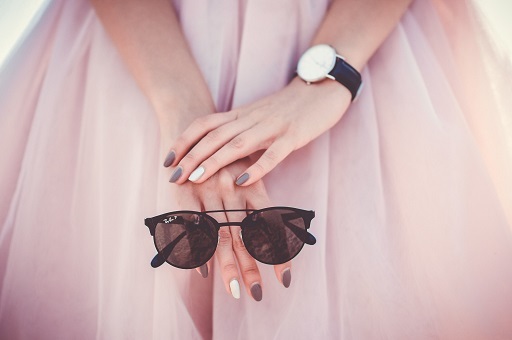 Not everyone has the spare cash to go to a nail salon once every couple of weeks to get their nails redone, but what you might not know is that gel manicures are more than achievable at home. You can pick up a kit which includes a curing lamp that gives you everything you need to get a salon-fresh look, and there are a lot of YouTube videos to help guide you through the process. One of the things that a decent manicurist will do is take care of your cuticles before applying gel paint, so that it doesn’t stick to them and cause lifting around the edges. However, having your cuticles cut can leave you at really high risk of infection, and having them pushed back is a much better and more hygienic way to deal with them. If you’ve got some Elemis Tea Tree S.O.S. Spray in your bag, a quick spritz on your fingers one your mani has completely set would be great way to prevent germs from spreading. Hair Removal – What Are Your Options? Probably the most common type of hair removal on the planet, shaving is also one of the cheapest ways to remove hair, with some disposable razors costing a matter of pennies. It’s not a very long-lasting method because it only trims the part of the hair which sits above the skin, but it’s definitely convenient and can be done on any part of the body that you care to use it. If you plan to shave, use Elemis Energising Skin Scrub beforehand to prevent ingrown hairs and soothe the skin, post-shave, with Dermalogica Post Shave Balm. Waxing lasts longer than shaving and gives a smooth finish, but does have it’s downsides. You need to leave time between waxes to allow the hair to be long enough for the wax to adhere to, and there’s obviously the pain-factor. Also, unless you wax at home, you’ll need regular appointments which can be pricey. If you do wax, treat your skin with Decleor Post-Wax Double Action Gel to soothe and repair. Laser is probably the most expensive way to remove hair but it’s also the only way to remove hair permanently. Most people require between 6 and 10 sessions for complete removal and occasional touch-ups if you get a rogue hair or two growing back, but most people have great levels of success with it. Your skin will feel sensitive after a laser session, so treat your skin to some Decleor Rose D’Orient Soothing Oil Serum. Threading is an ancient form of hair removal from Asia which involves using pieces of twisted thread to pull the hairs out. Many Asian women use threading to remove facial hair and arm hairs and the method is actually incredibly accurate, allowing you to get a really nice shape when threading eyebrows. There are many tutorials online to allow you to learn how to thread yourself, but we’d recommend going to a professional at least for a while! Epilating is the Marmite of hair removal – most people either love it or really hate it! It’s usually done with a handheld machine which pulls the roots out and it actually lasts quite a long time – if you can deal with the pain! Ingrown hairs are a real issue with epilation, so regularly scrubbing the areas you epilate with Elemis Body Detox Skin Brush will help minimise this.